A minister of state is said to have hit out at “pitiful tactics” of the Church after he was reportedly barred from sponsoring his godson at a Confirmation Mass. 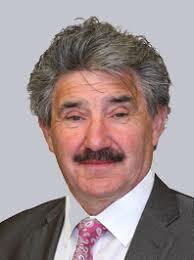 The Irish Examiner reports Independent Alliance TD John Halligan as saying that parents of the godson told him a member of the clergy had informed them he could not stand as sponsor at the ceremony on Sunday, and that this was the decision of the Bishop of Waterford and Lismore. When the parents contacted the bishop, they were advised that this was because Halligan was an atheist and owing to his views on abortion. In 2015, Halligan launched the Dignity with Dying Bill aimed at introducing euthanasia or “assisted suicide” in Ireland.